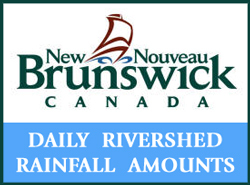 Water from above has still avoided the Restigouche. 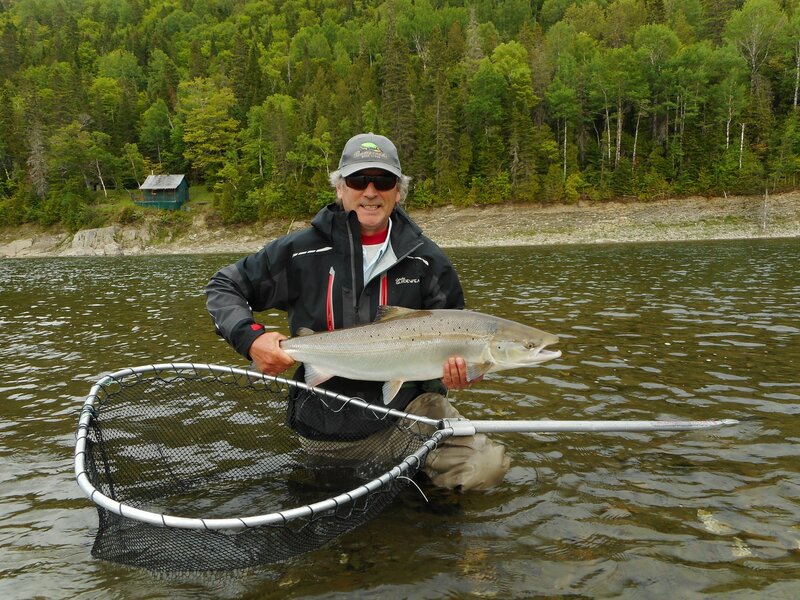 However the cool weather has the grilse in an active mood. 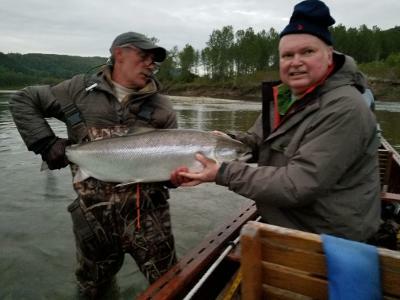 mark coming in last night landed a quite bright salmon. 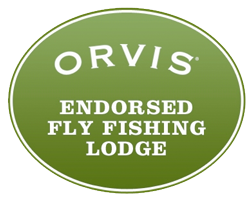 The last week should be good for the guests in camp. Mark one of the PA boys and his guide Sandy with a Home Pool salmon. 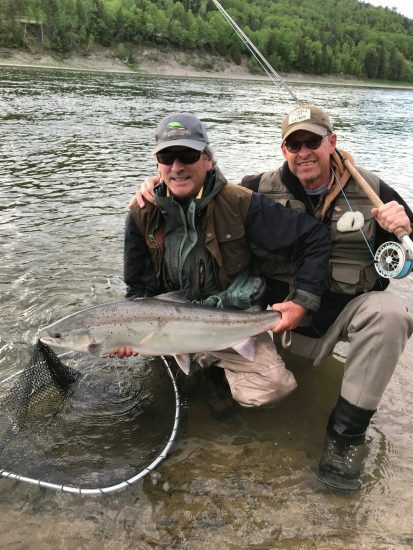 Mark one of the Pa. boys and his guide Sandy with a Home Pool salmon. 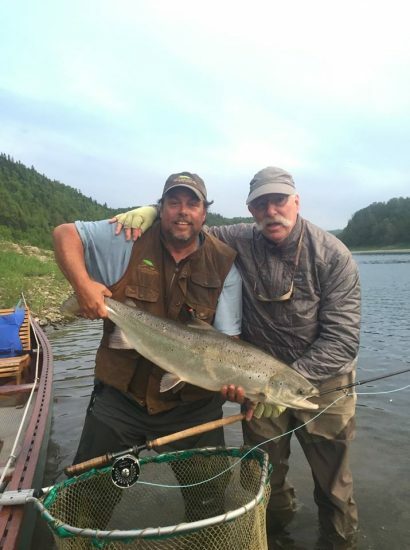 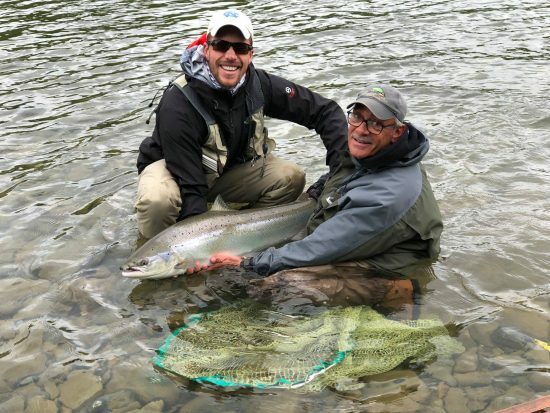 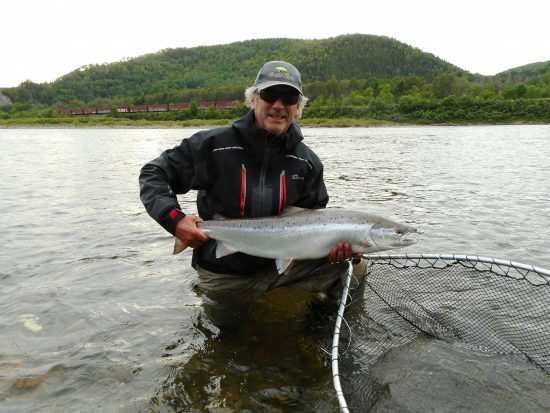 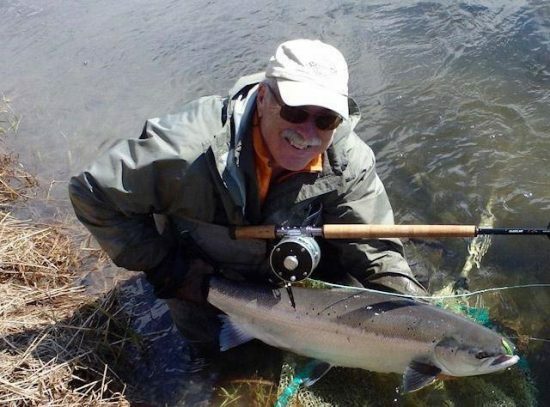 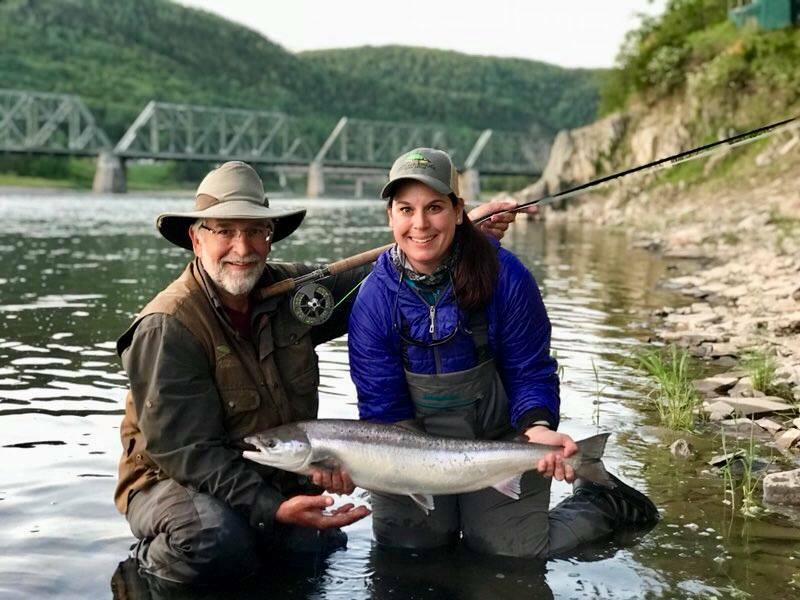 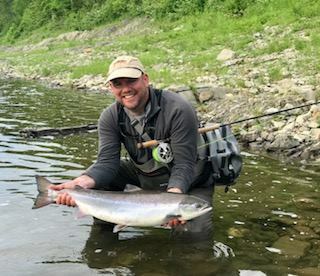 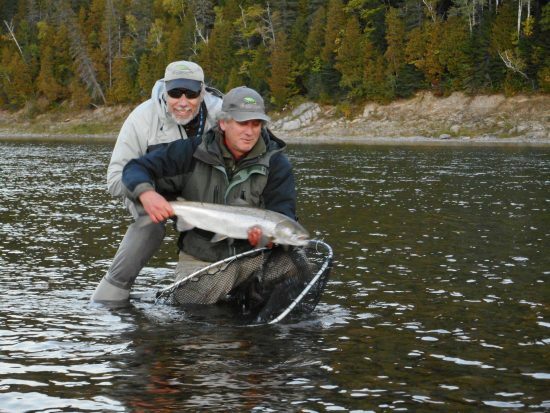 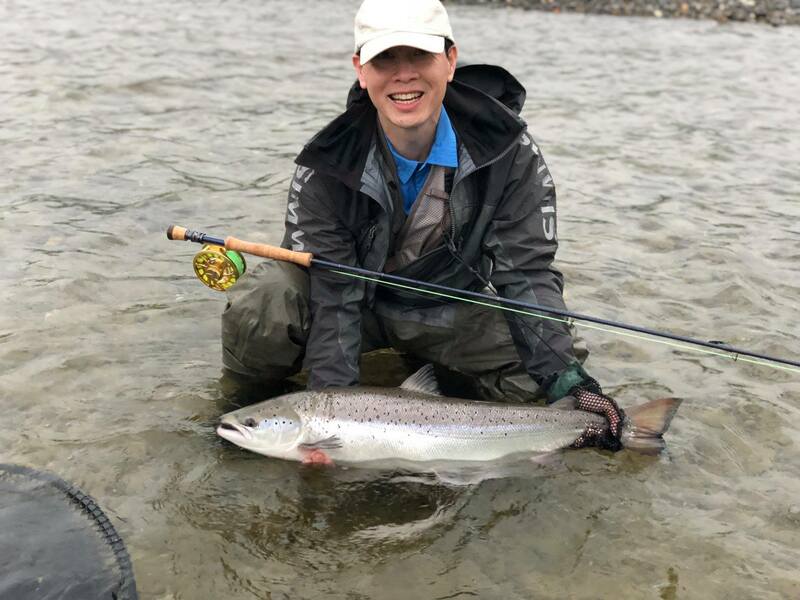 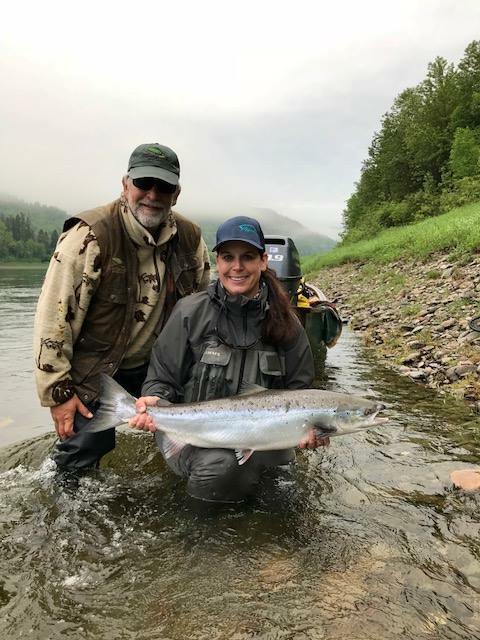 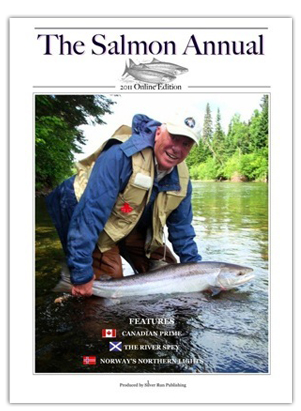 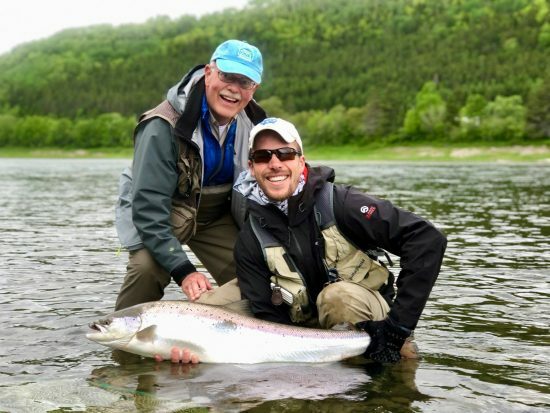 Doctor Joe and RRL guide with another fat Restigouche salmon.